The University of Waterloo brings together world-class academic strength, leading-edge research, experience-rich learning and a highly networked entrepreneurial culture that ignites curiosity and enables bold ventures. Waterloo’s reputation for innovation extends across Canada and internationally. This is a place where students, faculty and staff routinely deliver excellence. As our current Strategic Plan enters its final year, I am pleased to announce that the University of Waterloo is launching a process to develop a new plan for the period of 2020-2025. December 6th is the National Day of Remembrance and Action on Violence Against Women in Canada. This year will mark the 28th anniversary of the tragic events that took place in 1989 at l'École Polytechnique de Montréal. I wanted to reiterate our commitment to the University of Waterloo’s efforts to respond to the Truth and Reconciliation Commission’s 94 calls to action. This is an important national issue in which the University of Waterloo must play an integral role by bringing new initiatives and by making meaningful changes on our campus to eliminate obstacles faced by, and amplify the perspectives of, our Indigenous students, faculty and staff. We heard passion and hope at the annual International Women’s Day Dinner last week. 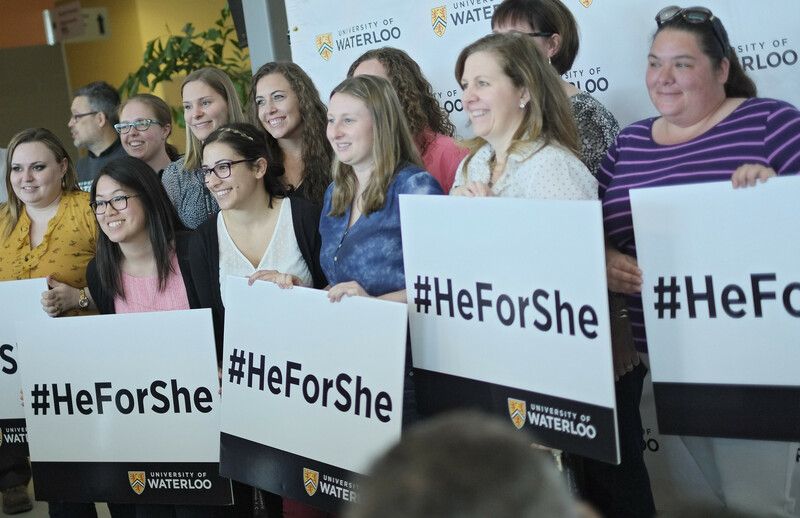 From our exceptional keynote speaker and Canada 150 Research Chair, Anita Layton, to our HeForShe Anthology writers and the group of dedicated community members, there were messages of hope and action. Hope and action to stand up to the challenges and setbacks that continue to plague our society and limit the potential of so many people.